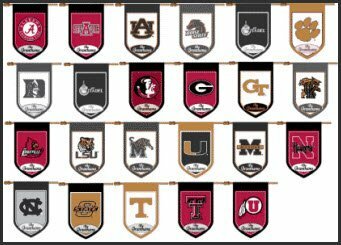 Collegiate personalized flags for your house make any tailgating party special. Hang one from your car while you tailgate! These double sided flags have the choice of your favorite school and additional you add your last name for a personal touch. Please list your last name to be put on the flags in the comment section. Flags measure 28 by 40 inches and can be hung on any house rod.